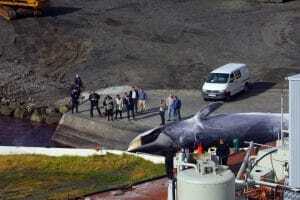 You may have read the stories about the so-called ‘whale jail’ in Russia. 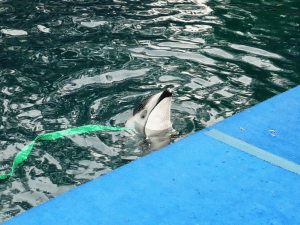 If you have, you’ll have seen the sickening images of belugas and orcas crammed into tiny pens, having been taken from their families to supply the growing captivity industry in China and other countries. 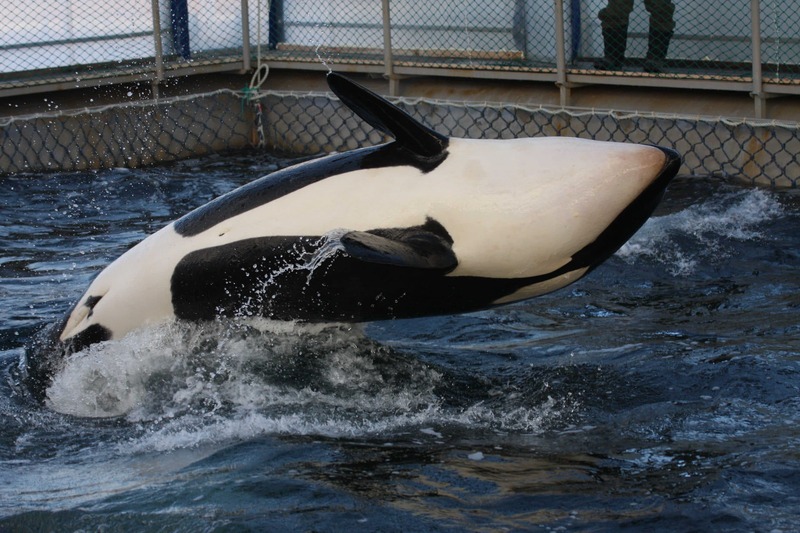 In December, we welcomed news that Russian authorities would not allow captures of orcas or belugas in 2019 and that export overseas had been prohibited, at least for the time being. 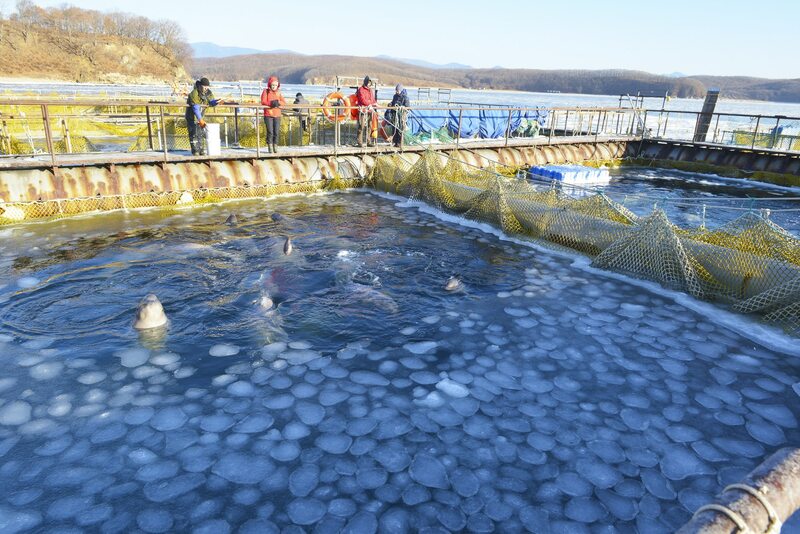 Sadly, these momentous decisions haven’t helped the more than 100 orcas and belugas captured in Russian Far East waters in 2018. 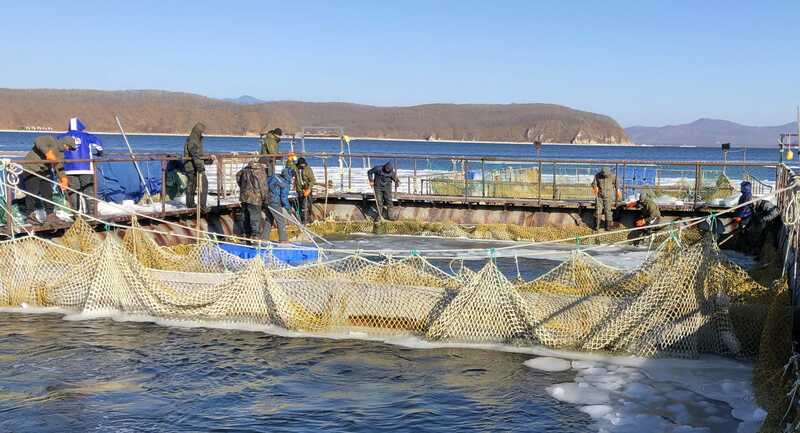 They are still being held in deplorable conditions in pens near Nakhodka. 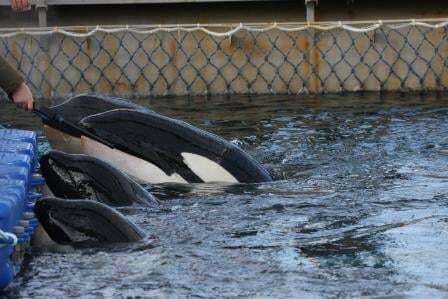 Back in November, photos and video started circulating on social media showing several open pens holding up to 90 belugas, and other covered enclosures, allegedly holding 11 orcas. It was reported that Russian prosecutors were investigating whether they were being held illegally, as it had already been established that their capture was illegal. 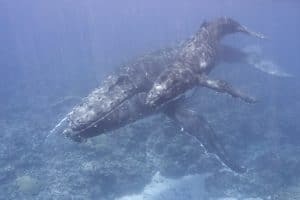 Options are being considered for the possible return of the whales to their natural habitat. 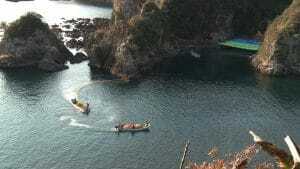 In January, a team of Russian experts, including biologists and veterinarians, led by the local coastguard service, carried out an assessment of conditions at the facility in the now infamous Srednyaya Bay. The preliminary results of that assessment have been published on social media and video and photographs are being subjected to further analysis. As expected, as a result of this assessment, a number of serious concerns came to light about the health and welfare of the now 87 belugas and 11 orcas being held. 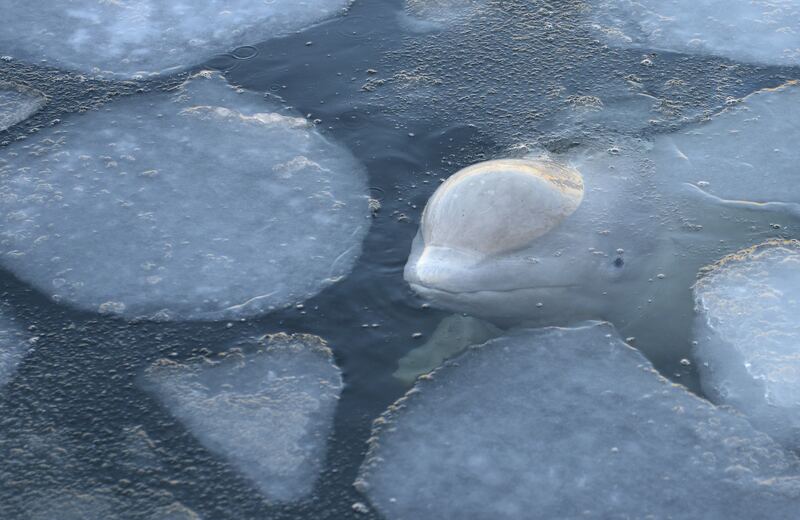 It has been reported that three baby belugas escaped, but this cannot be verified and, if true, their fate is unknown. Ice is a particular problem and something that may be getting worse, as demonstrated by drone footage from the site published earlier this week. During the assessment, staff working at the facility were seen to spend a great deal of their time trying to remove ice building up in the enclosures using heat guns and air compressors, both of which could present a serious health risk to the whales, not least because of the noise and disturbance they can cause, especially for whales used to living wild and free just a few months ago. From the photographs taken and posted on social media, several of the orcas appear to be losing skin from their bodies, although the exact cause is unknown. In at least one case, an orca who has been named Kirill has skin peeling off in large chunks. Other skin lesions, cracks and scrapes were also seen on both the belugas’ and the orcas’ bodies. The preliminary results of the assessment by experts point to a complete lack of any disease control mechanisms. Kirill looks sick and floats motionless on the surface. In some photos he appears almost completely surrounded by ice. Many of the whales held in this prison are babies. Some of the belugas are almost completely grey (as beluga babies are before they turn white) and are very small, with some estimated to be less than one year old. Most of the babies were probably still reliant on milk from their mothers when they were captured. They were taken from family groups they may never see again and are being held in extraordinarily cramped, noisy conditions, with other individuals they may not get on with. These conditions exacerbate stress and aggressive behaviour, causing injury and even death. The facilities are exposed, with individuals kept near the surface in enclosures, unable to dive deep to escape the harsh winter weather. They are forced to spend unnatural amounts of time at the surface, exposed to the elements. The orcas are mammal-hunters (members of the transient-ecotype) and naturally eat seals and other whales and dolphins. Here it’s only possible to feed them dead fish. The tragedy of this situation has been brought about by the demand for wild whales and dolphins to supply the captivity industry. 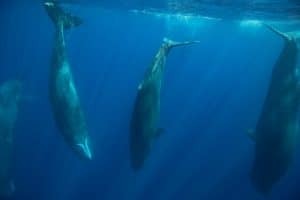 While people will still pay to see whales and dolphins perform, there is money to be made from shows and interaction programmes. 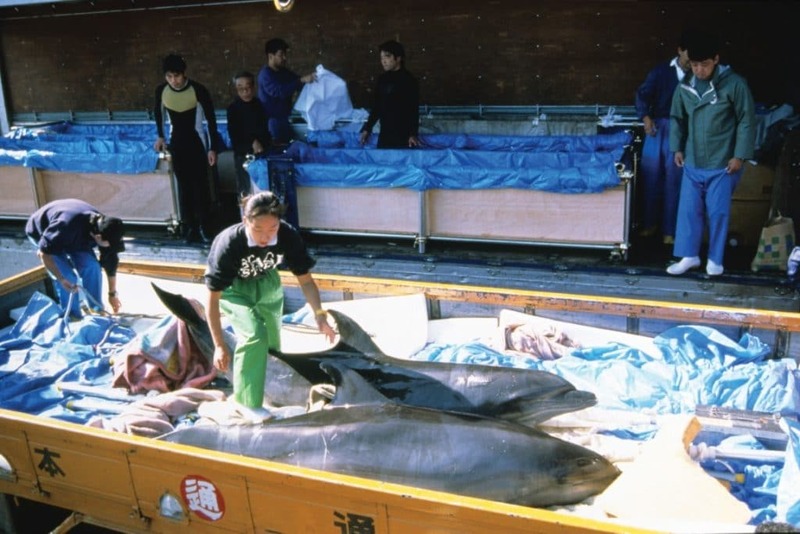 Despite the scientific evidence against captures and captivity, efforts to end captures by bodies like the Convention for the Conservation of Migratory Species of Wild Animals and public opinion shifting away from captivity shows, captivity is growing in countries like China and it is there that we need to persuade people to stop supporting this cruel industry. On the other hand, perhaps the sheer number of individuals captured and held in Russian waters last year is a last desperate attempt by the capture teams to make some money before such practices end for good. 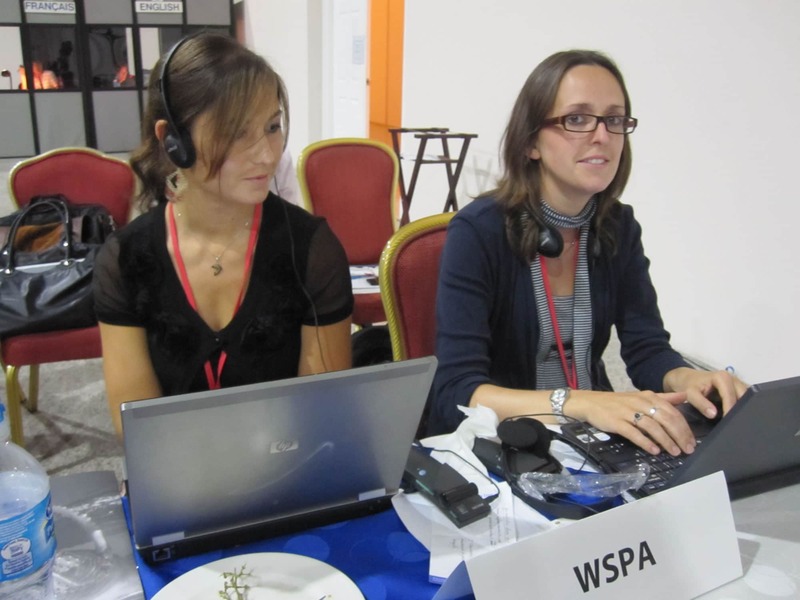 Meanwhile, the individuals incarcerated in appalling conditions in Srednyaya Bay continue to suffer. Difficult as it may be to secure a release and return to natural waters, WDC calls on those involved to formulate a responsible plan and help these whales go home to their families before it’s too late. 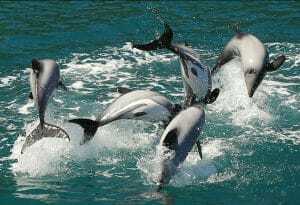 Please make a donation to help us end the misery of captivity for good.